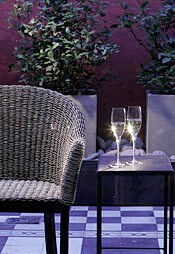 The downtown area of Mendoza showcases the relaxed pace and provincial beauty of this winemaking region. Full of tree lined streets, open air plazas, and outdoor cafes, Mendoza is the perfect place to take a casual stroll, stop for an espresso coffee or enjoy the blossoming flowers on one of the plazas' park benches. In 1861 Mendoza was destroyed by a major earthquake. In rebuilding the city, the authorities designed a series of large open plazas. In case of another "terremoto" the citizens could find safe refuge in these wide open spaces. The main square is called Plaza Independencia, a 2 square block plaza that's home to a wonderful Andean artisan fair. The other four plazas, diagonally located 2 blocks from each of Independencia's corners, are Plazas Chile, España, San Martin & Italia. These wonderfully decorated, lush plazas are a perfect place to enjoy an early morning or late afternoon stroll. 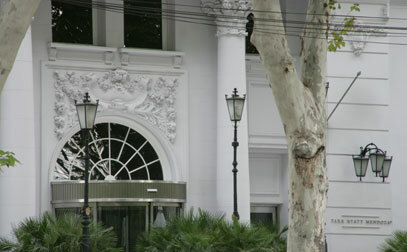 Mendoza offers a wide range of excellent shopping activities. There's the hand made crafts of the flea market in the Plaza Independencia, great leather goods and traditional Andean gaucho (Argentine cowboys) souvenirs on Las Heras street, wonderful mountain equipment on the Sarmiento boardwalk or San Martin street, as well as all the clothing one could want at the cities two shopping malls, Palmares Open Mall and Mendoza Shopping. Don't miss the chance to take some momentos back from your experience here in Mendoza. The Vines of Mendoza Tasting Room. The Vines of Mendoza Tasting Room is the only place where wine lovers can enjoy flights of the very best Argentine wines in Mendoza, Argentina. With a commitment to quality and value, we personally select each wine to build a collection of the finest wines in this one convenient, exclusive location. Visiting the tasting room is like adding 90 wineries to your visit, without having to leave the city. In the Tasting Room you can sample these wines in three state-of-the-art tasting rooms, including a special Reserve Room and a Valle de Uco Room. Try such local treasures as Carmelo Patti, Gimenez Riili and Sottano, and in our Reserve Room you can enjoy tastes of Achaval Ferrer and Catena Zapata. Tuesday to Saturday 3-10pm | Espejo 567 If you find wines you like we encourage you to join the Acequia Wine Club, the first and only Argentine wine club. 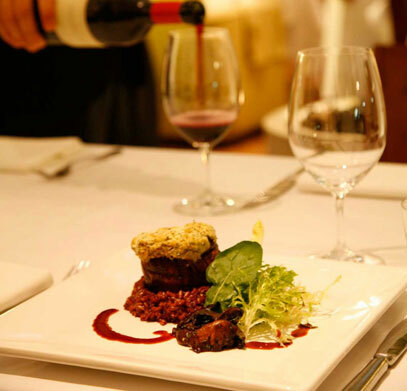 Over the last several years, Mendoza has developed a bustling restaurant scene, from traditional Argentine barbecues to sleek, modern urban bistros, to sophisticated, elegant fine dining. The best Argentine meat can be had at the parrillas (steak house grills) of Don Mario or Facundo, for a more international menu try La Sal or Azafran, and for fine dining the food at Bistro M, Restaurante 1884 or La Bourgogne are refined choices.